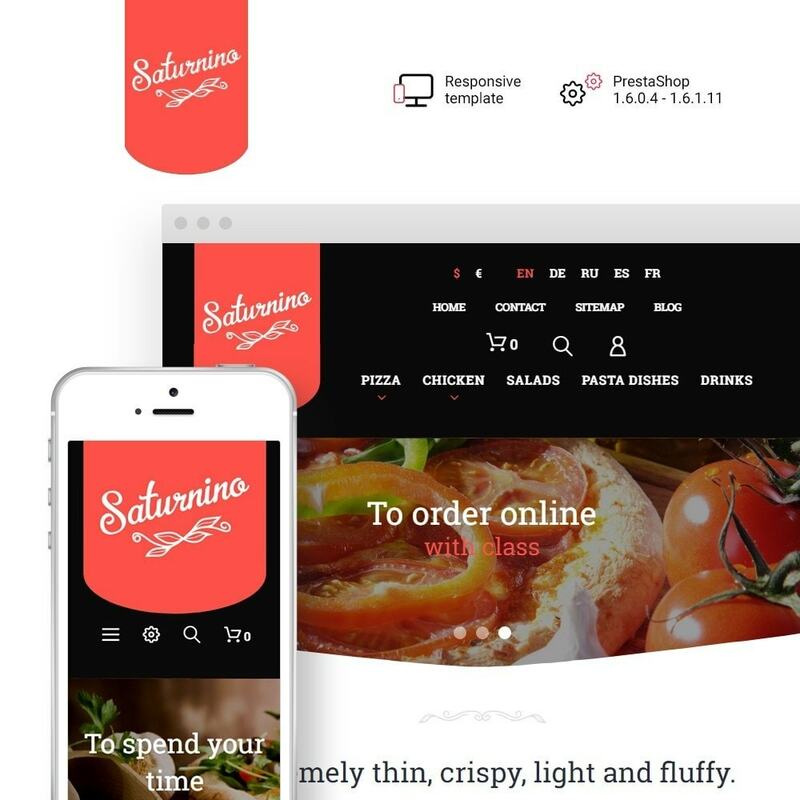 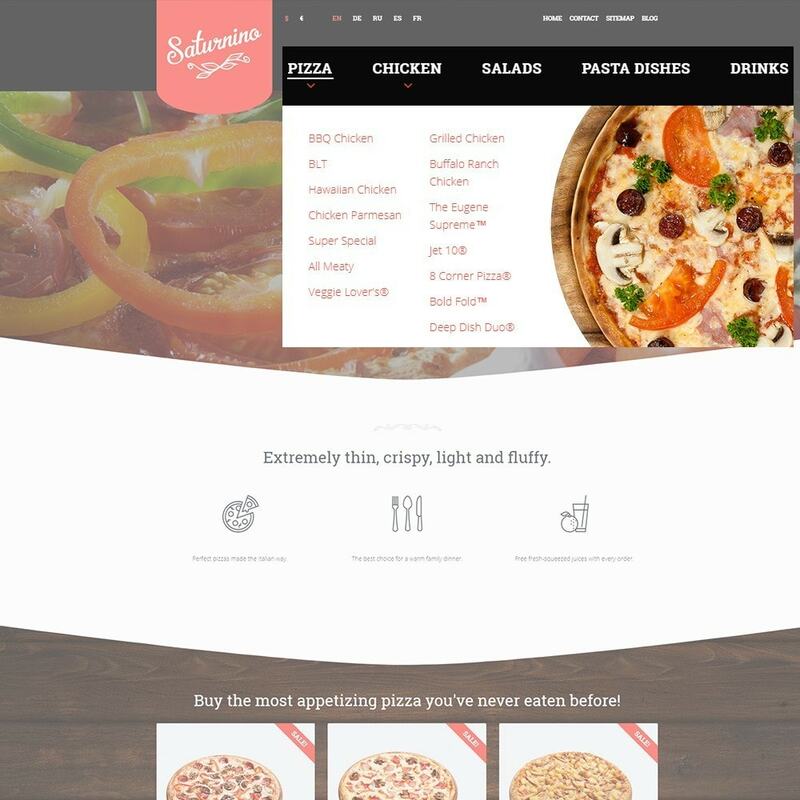 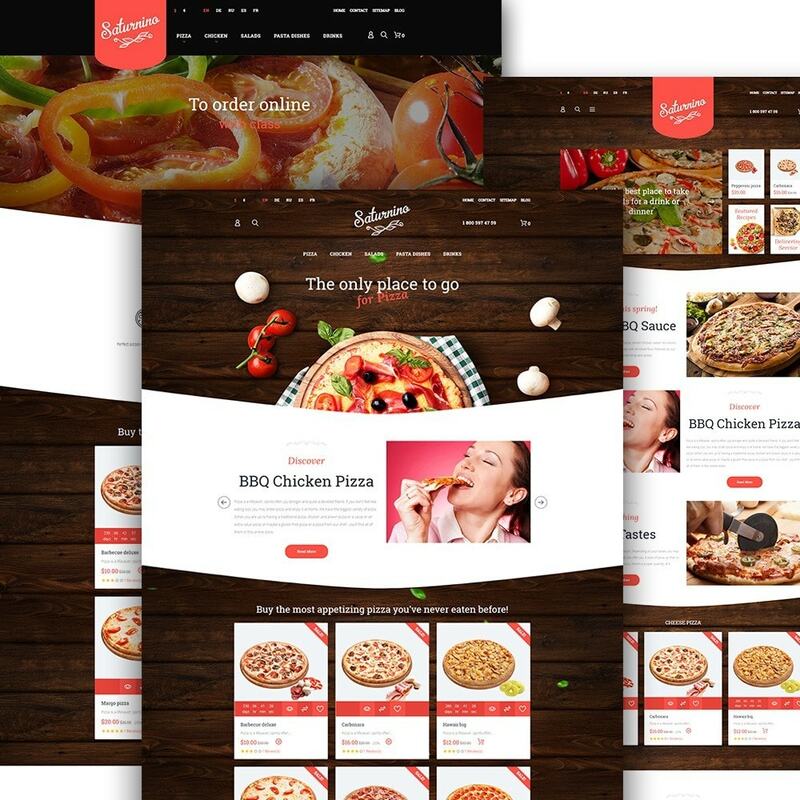 Saturnino is a responsive PrestaShop theme for pizza restaurants. 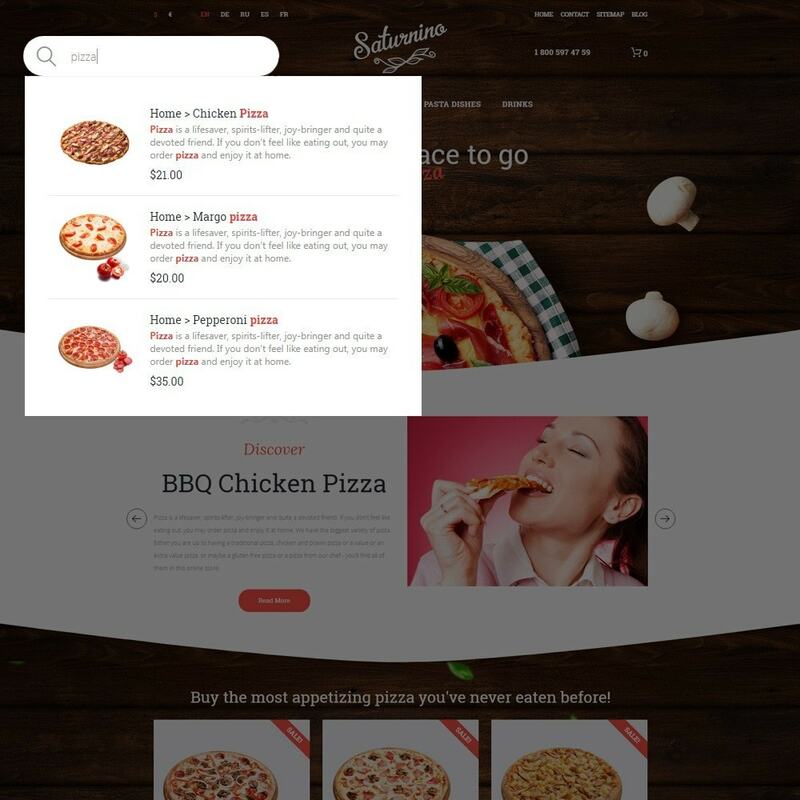 It comes with a module pack that would cost you over $600 if you bought it outside of the theme. 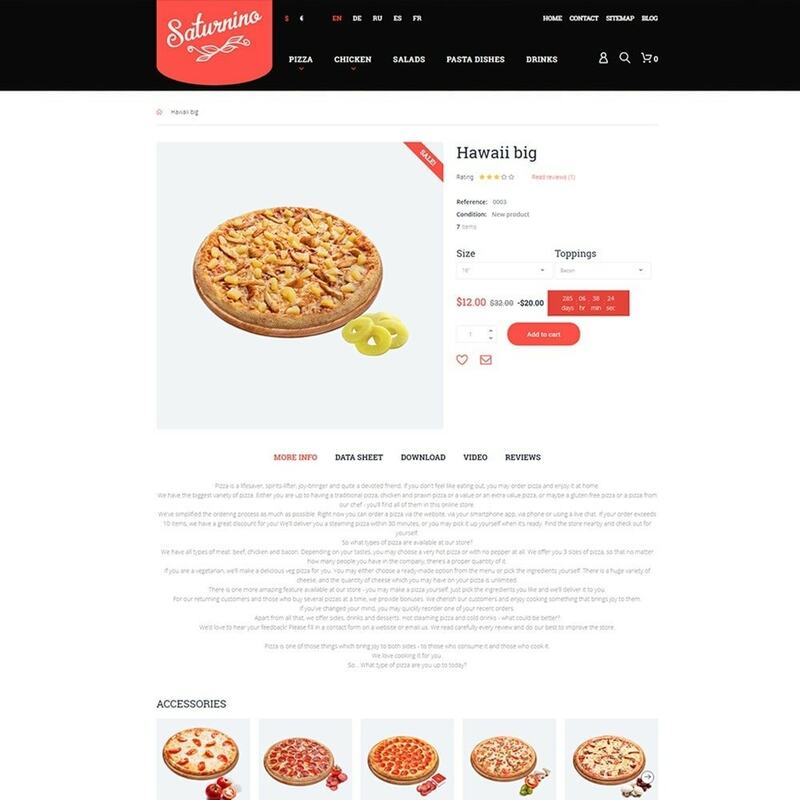 The modules provide usability for customers and effective product showcase for you.